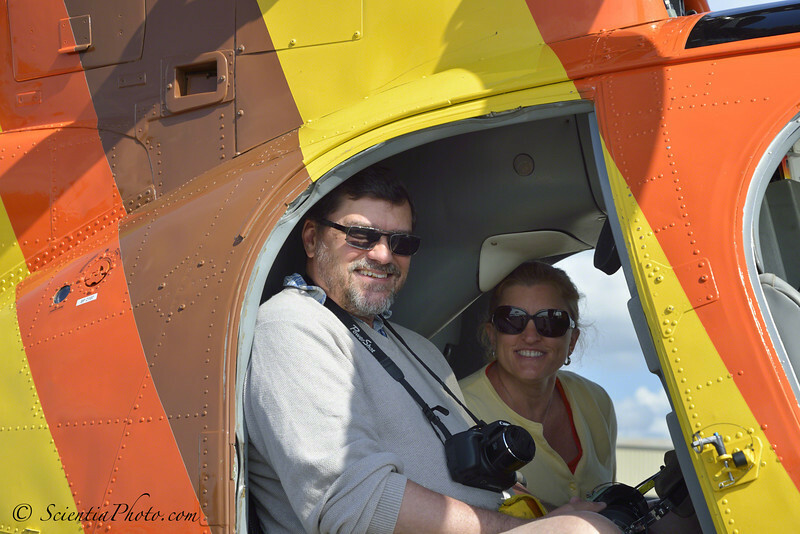 In May 2013 I chartered a helicopter to take us around the island, concentrating on waterfalls & mountains. Doors off! An incredible diversity of ecosystems lies within an area that would fit within the Washington D.C. beltway! Two mountain ranges, the Waianae & the Koolau, divide the island. The Waianae reach an altitude of 4,000 feet just a few miles from the coast, & the 34-mile long Koolau reaches up to 3,100 feet, again, just a few miles from the coast. Erosion has cut deep valleys, with waterfalls as much as 1,100 feet high. Tropical trees cover the nearly vertical "pali" (the Hawaiian word for cliff). Rain is much more frequent on the windward sides of the mountains, & in our short tour we saw brilliantly clear skies, cloudy skies, and nearby rain showers. We learned just before the flight that both of them are afraid of heights. Too late!